The Alexandra Canal transport depot was officially opened by Sydney Lord mayor Clover Moore on Wednesday. It’s powered by 1,600 PV solar panels and also includes a Tesla Powerwall/Powerpack battery which has 500 kWh of energy. It represents the first time solar has been combined with large-scale energy storage in NSW – just like Tesla’s South Australia battery venture earlier this year. “We’re working towards a target of 50 per cent of all electricity in the City of Sydney area to come from renewables by 2030. The Tesla Powerpack batteries will be remotely managed by TransGrid and will be the first cab off the rank for a plan which will see Sydney install 1.5MW of battery storage on top of council buildings – with the goal of making their city 50% renewable in the short term. 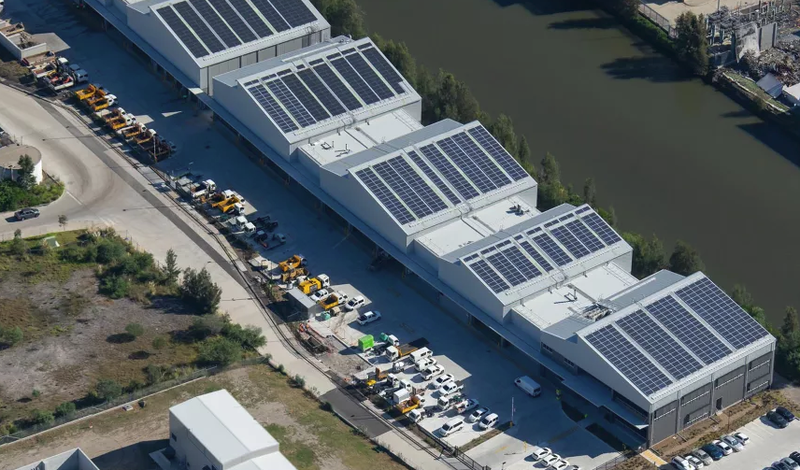 “This initiative with the City of Sydney will afford the depot a significant amount of energy self-sufficiency while also sharing benefits with the wider community through the electricity network,” Mr Italiano said.